This is a unique field dog training program and guide for hunters, field trial enthusiasts, and dog owners preparing their dogs for hunt tests who reside cities and towns. This step-by-step book helps the urban trainer, constrained by the city environment, to turn an untrained puppy into a highly polished hunting retriever. It offers an extremely unique and detailed program for obedience training in addition to a solid approach for field training. The book contains color photographs of dogs in action, and drawings designed to assist the novice or experienced dog trainer with field exercises. 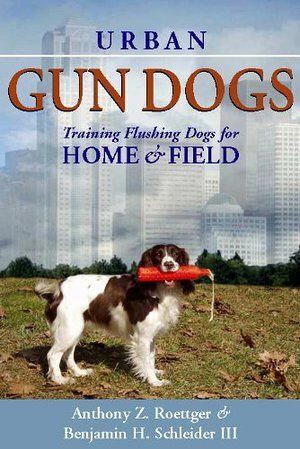 It identifies training locations in and around cities, how to schedule dog training sessions, house training techniques, urban socialization approaches, how to find flushing dog clubs, exercises and drills for indoor training during inclement weather, how to select professional trainers, valuable insight as to how flushing dog hunting tests and field trials are run, and superb handling guidance for a variety of upland game birds and waterfowl.